A First for Everything : It's the First Day! I can't believe it's already Wednesday! 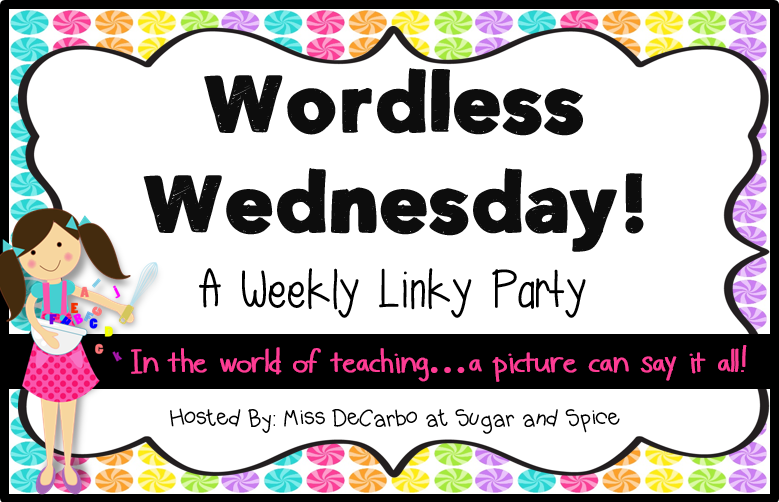 Which means it's time to link up with the lovely Miss Decarbo at Sugar and Spicefor Wordless Wednesday. Today is my first day of school! 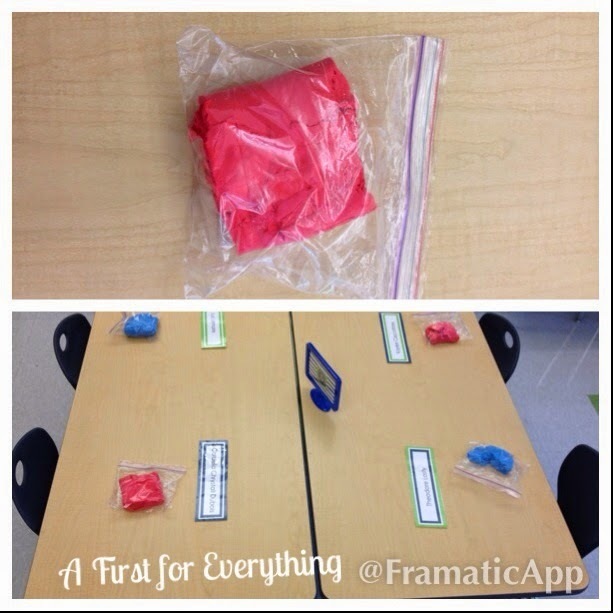 I have clay set out at each spot at the table so that I can collect supplies and the kiddos are entertained. Normally, they will have morning work but just this week will be clay and tomorrow is coloring. Do you do morning work? What is your morning work like? I normally have them read as soon as they come in as it is easy and requires no preparation! I hope to do better and have different morning work out this year - what do you use? I bought Common Core Morning work bundle from Mr. First Grade at has AM work every day for every month. It's fabulous and I use it every AM for morning work. It's a great review. I am going to be doing something different this school year. I purchased a Rise and Shine binder from Reagan Tunstall that includes a calendar journal, number of the day, place value cards, etc. It is a great purchase and I can't wait to see how it will work with my new class. I have his as well, Lauren. It is great! I use Daily Language and Daily Math, the skills vary daily. It's great for my kids. I differentiate by academic level using the grades two through four editions. Every morning students sign in to practice writing their names (kindergarten). After eating their breakfast in the classroom, they work on some type of review work. I don't really have anything consistent that they do everyday, just whatever skills they are needing at that point. I plan a week or 2 in advance. Wow - clay - that seems brave. I am a small group ancillary teacher so I don't have kids in the morning. But I agree the first few days need to be more creative and social! We practice our handwriting on dry erase handwriting boards. My class always leaves me with the nicest handwriting:) LOVE your clay idea!